Born November 28, 1953, some say Preston Pittman was hatched on Thanksgiving Day. Pittman can’t remember the first time he was introduced to the great outdoors; but he can remember the tale “that at the age of four months, on a creek bank, they flipped a water snake out of the makeshift apple crate bed.” He was raised in the woods hunting and fishing, and still looks forward to every outing. Pittman continued to win and place in so many contests that it’s hard to remember them all. Some include: The World Turkey Calling Contest, The World Natural Voice Turkey Calling Contest, World Two Man Team Turkey Calling Contest, The World Gobbling Turkey Calling Contest, and The World All Call Turkey Calling Contest. He is the only person to hold five different world titles. Other wins include: seven National Championships, nine National Champ of Champs, U.S. Gobbling Champion, Grand National Gobbling Champion and Grand National Champ of Champs. He has been featured in outdoor hunting magazines including Outdoor Life, Field and Stream, Sports Afield, Southern Outdoors, Turkey Call, Peterson’s Hunting, Turkey and Turkey Hunting, Buckmaster, Deer and Deer Hunting, and many more. He has also appeared on The Tonight Show with Jay Leno, David Letterman, The Daily Show, Regis and Kelly, Country Fried Videos, TNN Celebrity Outdoors, America’s Funniest People, Real People, Hunting the Country TNN, Remington Country, Mississippi Outdoors, Magnolia Adventures, Adventure Boundand Point Blank. Pittman is also currently appearing, dressed in Longleaf Camo, in advertisements on the Versa channel. 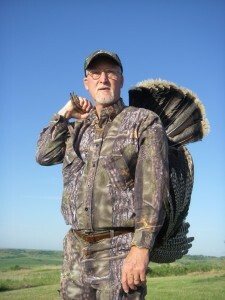 Pittman has hunted across the United States and was the first person to document a Double Grand Slam (two turkeys of each of the four major sub species of the American Wild Turkey) in one year. He is on many Pro and Adversity staffs, such as Longleaf Camo, Muzzy, Delta and Scent Lok. Your questions and comments about Pittman Game Calls are always welcomed.